In Terence M. Green's novel, Shadows of Ashland, Leo's efforts to fulfill his mother's dying wish to find her long-lost brother leads him to a mysterious boarding house and a doorway into the past. Called "the book you have to read" by Entertainment Weekly, it is a love story, time travel tale, ghost story, road novel, and more. It's also the first in Terry's Ashland trilogy. 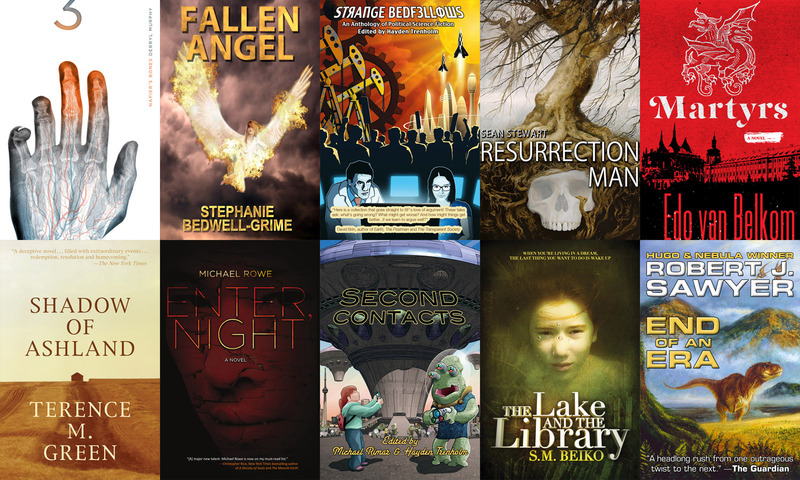 The bundle is available for a very limited time only, via https://storybundle.com/aurora. It allows easy reading on computers, smartphones, and tablets as well as Kindle and other ereaders via file transfer, email, and other methods. You get multiple DRM-free formats (.epub and .mobi) for all books!